‘Cut The Chord’ is the third album from the American heavy metal band Narcotic Self. They have toured with a number of renowned metal bands including Slayer, Exodus and Soulfly. Their music is a mixture of classic thrash metal with other metal genres along with some experimental elements. This album features Björn “Speed” Strid of Soilwork as a guest vocalist on one of the songs. Kicking off the album is the title track, an aggressive and brutal metal song filled with thrashing guitars, pummeling drums along with abrasive and angry shouting. Then, when you least expect it, they slow down the pace towards the end of the track and treat you to a short but well executed melodic instrumental. It’s just enough for you to take a deep breath and relax before the usual onslaught of guitar, drums and shouting returns, raising hell inside your eardrums. Generation Victim (feat. Björn Strid) is a fairly straightforward piece of aggressive, thrashing groove metal which reminded me of the early works of Machine Head, DevilDriver and to a certain extent Lamb of God. Hell in My Head caught my attention due to the deceptively melodic guitar intro at the start. There’s some experimentation in the guitar parts and briefly a change to a softer, more melodic vocal style halfway through the song. This time the melodic elements last a little longer than they did in the title track. The problem is that I’m not entirely convinced that the random changes suit the rest of the song. The transition between the two is just not as fluid as it should be. Then it seems that Narcotic Self decided to have another go at the more melodic side of metal/rock so they created Creeper, a song which is predominantly slow and melodic. At least for the most part… Then, all of a sudden, the aggressive shouting and thrashing monster re-emerges. It’s almost like the other half of the song was composed by another band. Luckily the rest of the album marks a return to good old brutal and vicious thrashing groove metal with only occasional bits of clear vocals sprinkled in to soften the blow. For example, Brainslave shows how well executed guitar work can make a song memorable for all the right reasons. Overall, this album left me feeling a little confused. I’m not entirely sure that I understand what Narcotic Self are trying to achieve here. I would have been perfectly happy had these guys just stuck to a specific style be it thrash or groove metal but the random mid-song experimentation is very off-putting. Those bits aside ‘Cut The Chord’ should appeal to fans of Lamb of God and Machine Head. ‘Terminal Cognition’ is the second album from American groove metal band Arise in Chaos. The band was formed back in 2010 and they released their debut album ‘Civilization Decay’ two years later. This latest piece of work was co-produced by David Ellefson (Megadeth) and Ahrue Luster (ex-Machine Head, Ill Nino). As soon as the opening track Nero starts blasting it’s way through the speakers, it’s clear that this is all about brutality and aggression. Everything from the thrashing guitars to the relentless pounding of the drums has that violent and hostile feel to them. The vocals, or more accurately growls, are fairly similar to the likes of DevilDriver and Lamb of God. Come to think of it, so is the overall style and structure of the music. The Divine – the first single, acts as a good show-piece demonstrating all the things that you can expect to hear from these guys. It’s a ferocious beast of a song that reminded me of early Machine Head, only with more thrash and melodic death metal tones in the guitars. And the barrage of guitar riffs, shouting and pummeling drums doesn’t stop there. Oh no… It’s full steam ahead all the way for the rest of the album. Even the occasional melodic intro, such as the instrumental part at the start of Violent Colors, is barely enough for the listener to take a few deep breaths before aggressive growling and thrashing guitars. Reflections caught my attention due to the slightly slower pace and the toned-down thrash metal guitar parts towards the end of the song. Overall, ‘Terminal Cognition’ is an album that I would happily recommend to fans of DevilDriver and Lamb of God. 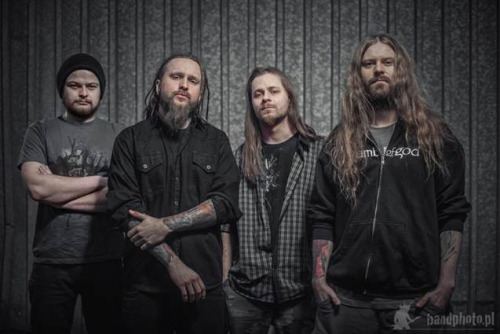 As far as the style and genre classifications go, it’s essentially a mixture of groove metal with the brutality and aggression of thrash metal and some melodic death metal. My only problem with it is that there’s lots of similar sounding bands out there and Arise In Chaos doesn’t really offer anything dramatically new. ‘A Social Berserker’ is the fourth album from the Russian death metal band Tacit Fury. It is the follow up to ‘Horrors from Depth’, which was released back in 2012. First up is Lacerated, Strangled, Impaled, which builds up the pace gradually starting with a deceptively slow intro before the ferocious guitar riffs and pummeling drums enter the frame. The vocals are pretty much your standard growls and, with a track title like that, they fit in well with the majority of the bands in the death metal scene. One thing that makes this particular song stand out is the short, thrash metal style guitar solo towards the end. The subsequent tracks reveal another distinctive pattern – high-pitched, stop-start guitars akin to the likes of Lamb of God. Release The Lions and Chronology Bleached are good examples of this style. It’s a combination of death metal vocals and drumming paired with groove metal style high-pitched guitars. They remind me of bands like Machine Head and to some extent Grimfist. Other tracks that caught my attention include Overbade, which features some thrash metal style guitar riffs in the middle and War Against The Living, one of the fastest and most aggressive songs on the album. The latter also features a surprisingly melodic, almost melo-death style guitar solos towards the end of the song. 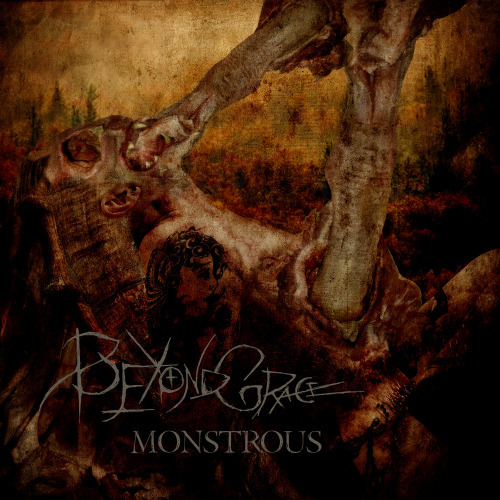 Overall this is a fairly decent sounding death metal album. Whilst Tacit Fury do not offer anything dramatically different than most of more modern death metal bands out there, they are clearly good at what they do. ‘A Social Berserker” may not appeal to old school death metal purists but if you’re a fan of the newer style then this album is for you. 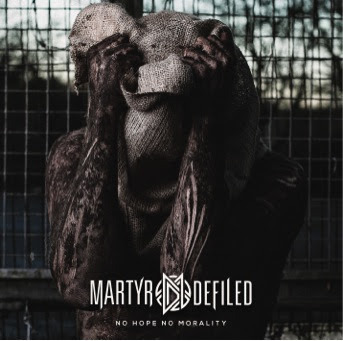 The heavy hitting Martyr Defiled are set to release their new album, No Hope No Morality, on 28th April, via Siege Of Armada Records and Century Media, and to celebrate its release, the band will be playing an intimate FREE entry show at The Garage in London on 23rd April. The band have also just unleashed a brutal video for new single 616, which is the second track to come from the forthcoming release. The video can be viewed down below. 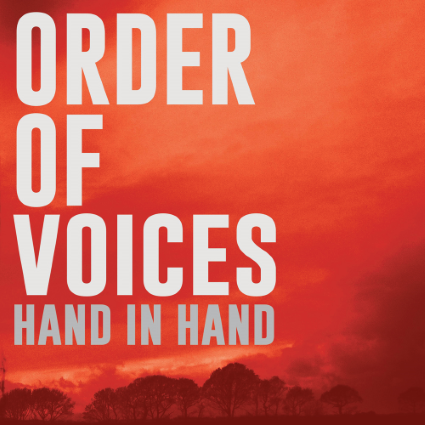 Yorkshire alternative progressive rockers Order Of Voices have released the music video for their latest single Hand In Hand. The single is taken from the band’s album Constancy which is set for release later this year. The single can be heard below. We’ve moved on from the first album, distilled what we do to make it stronger in every sense. We’re very happy with the results and look forward to people hearing it!